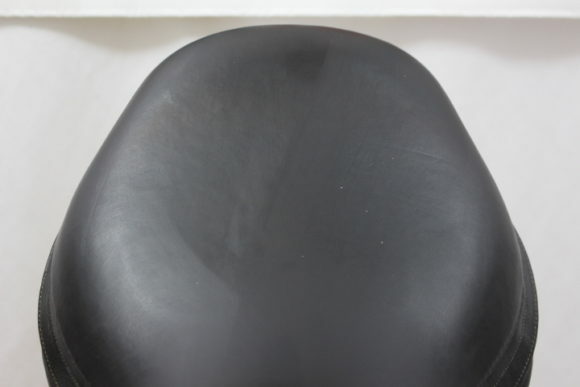 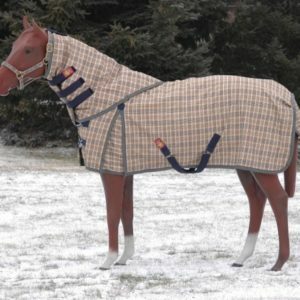 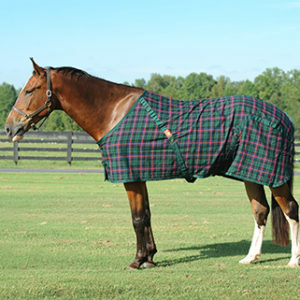 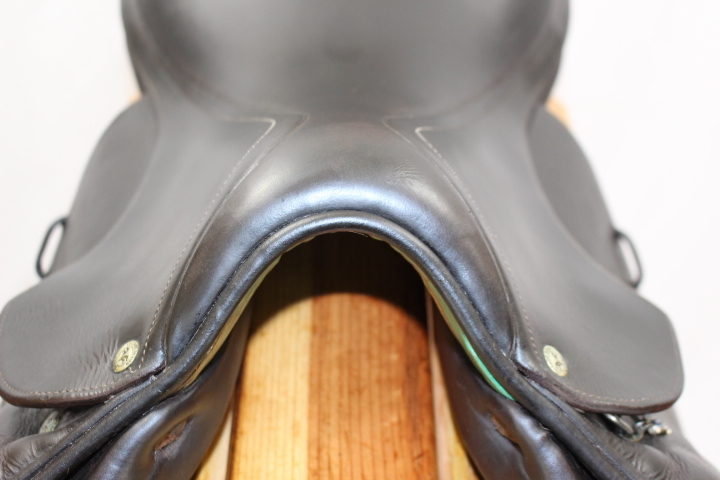 ** WINTER SPECIAL ** SAVE $200 ** Grippy, luxurious and super balanced. 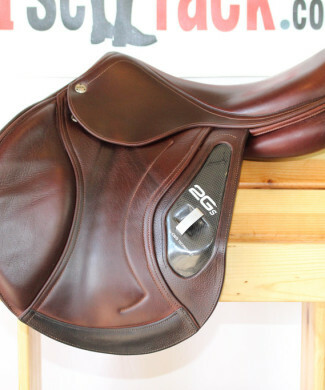 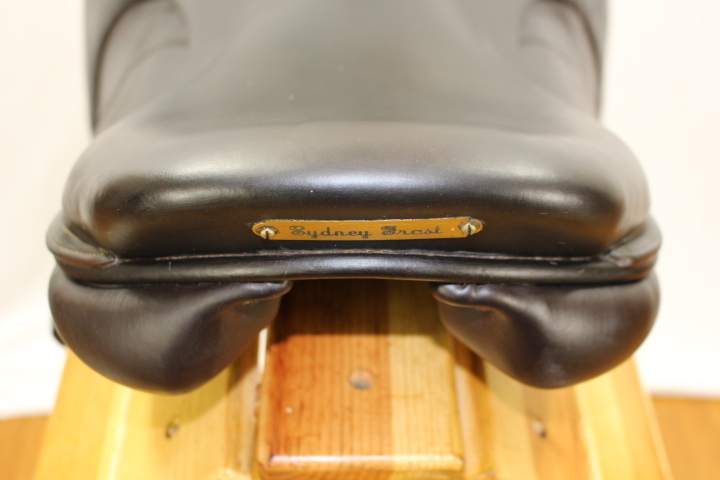 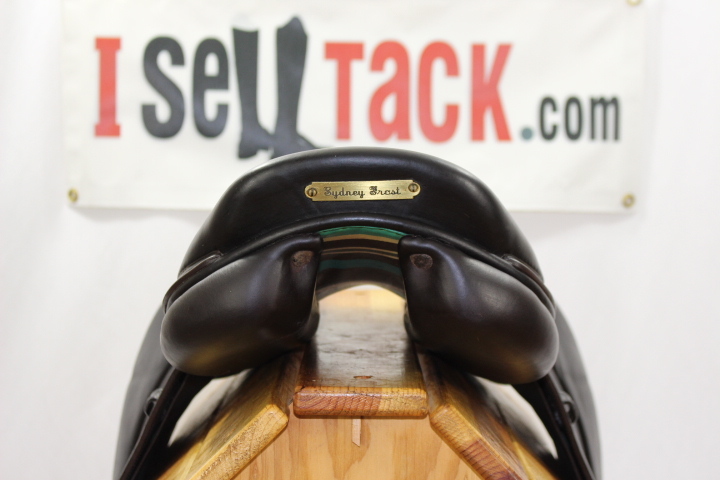 Those are the first words that come to mind when describing this beautiful saddle. 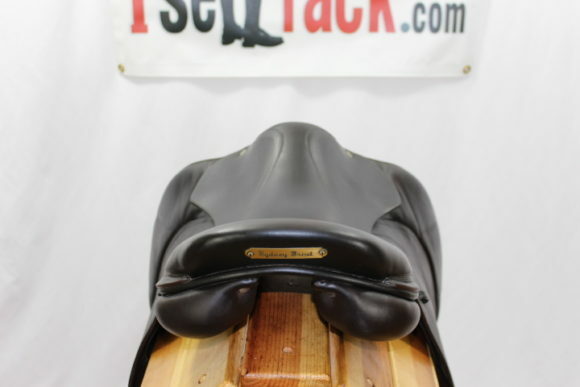 Highly sought after – 18″ seat, 3AB flaps measuring 13.75 long x 13.75″ wide (mixture between a 2A and a 3A IMHO) and Voltaire’s PRO panels added a year ago with a 4.5″ tree. 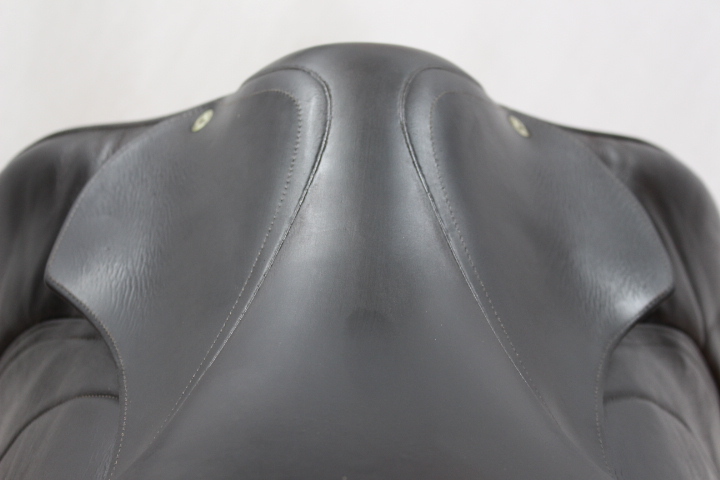 Second skin feature means extremely close contact. 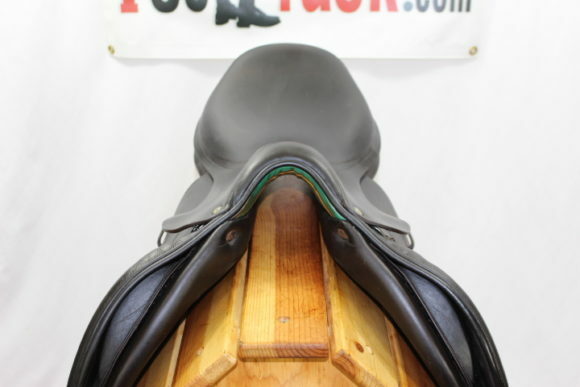 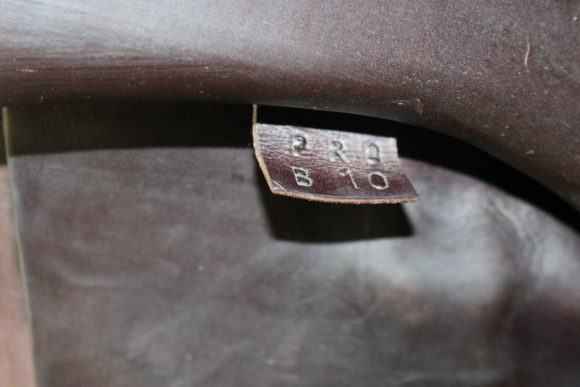 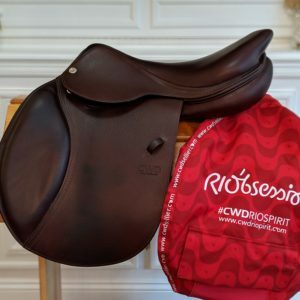 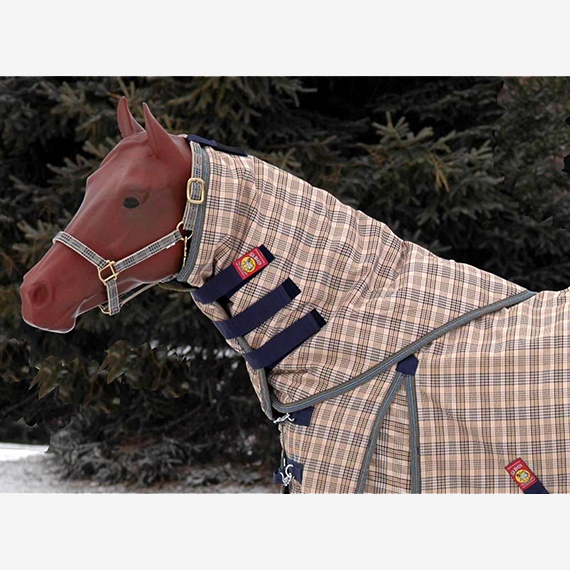 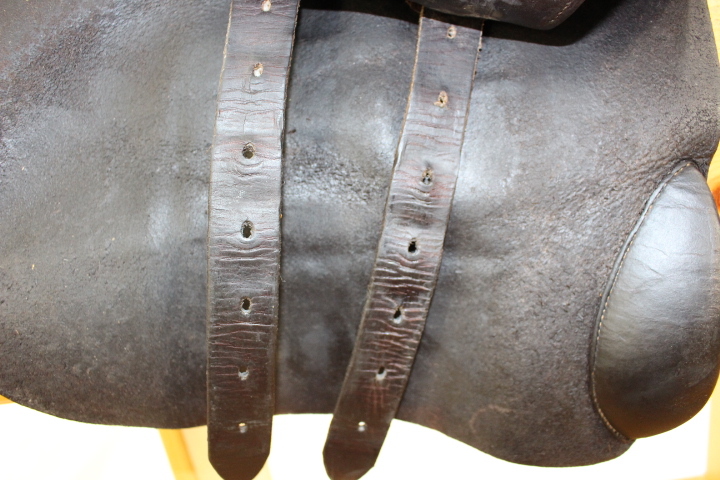 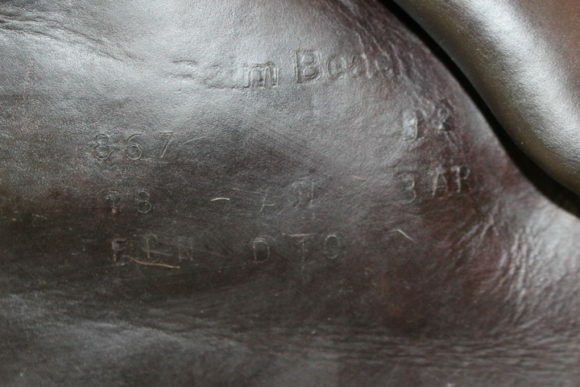 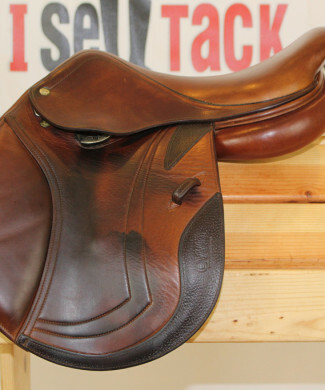 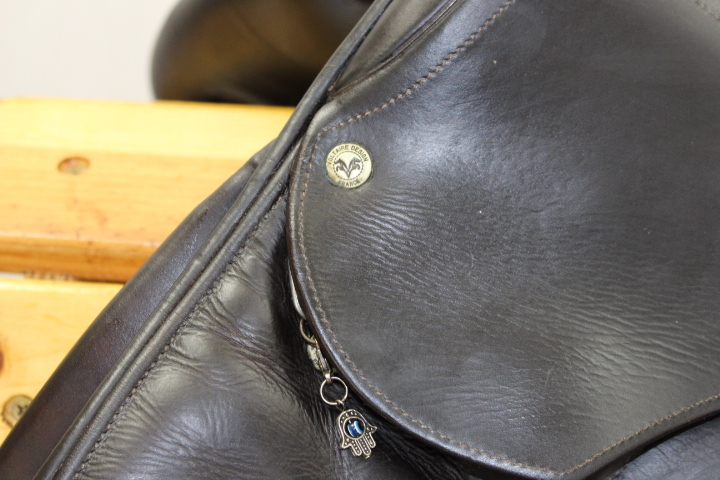 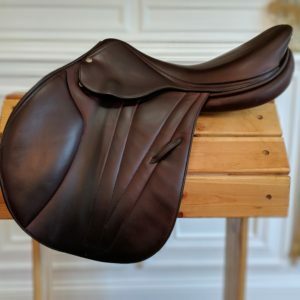 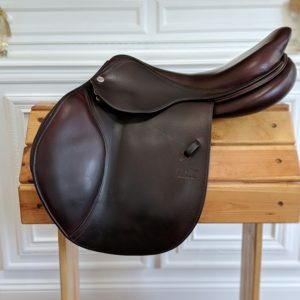 This saddle will fit a HUGE variety of horses and ponies. 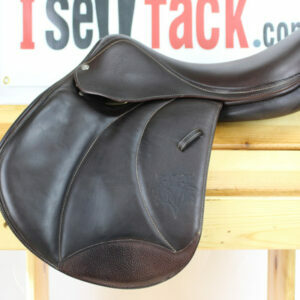 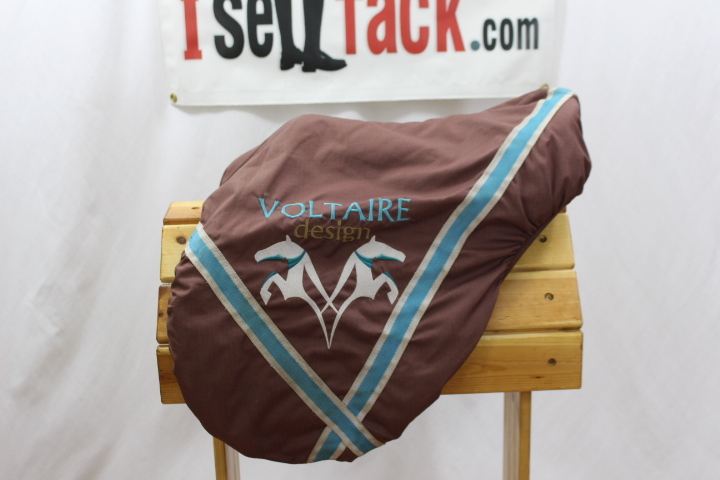 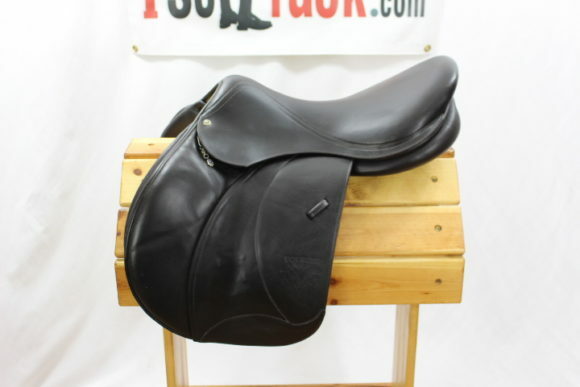 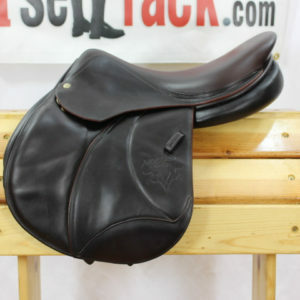 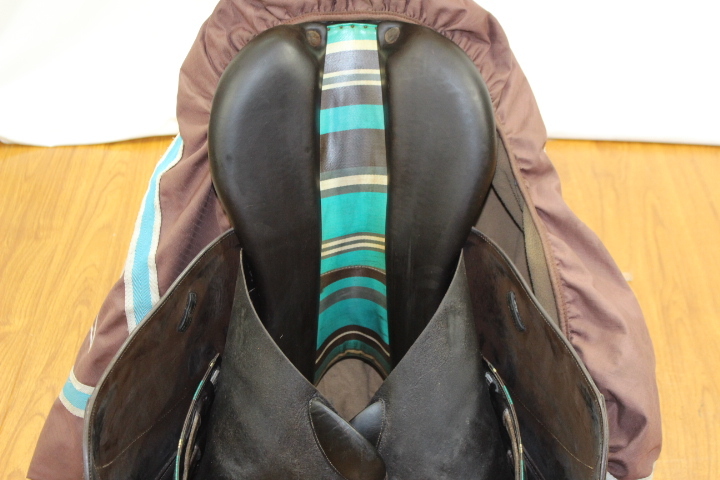 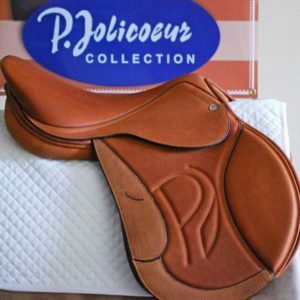 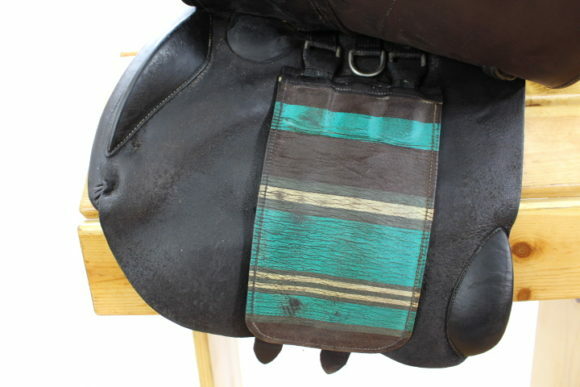 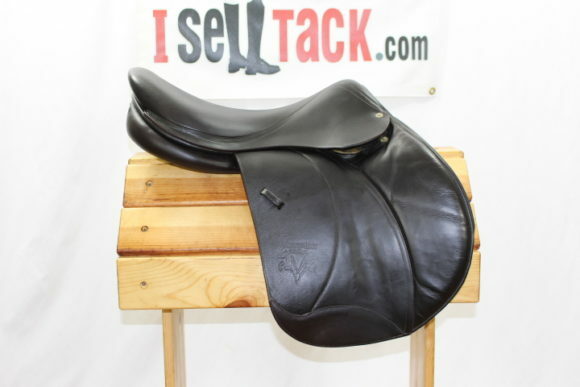 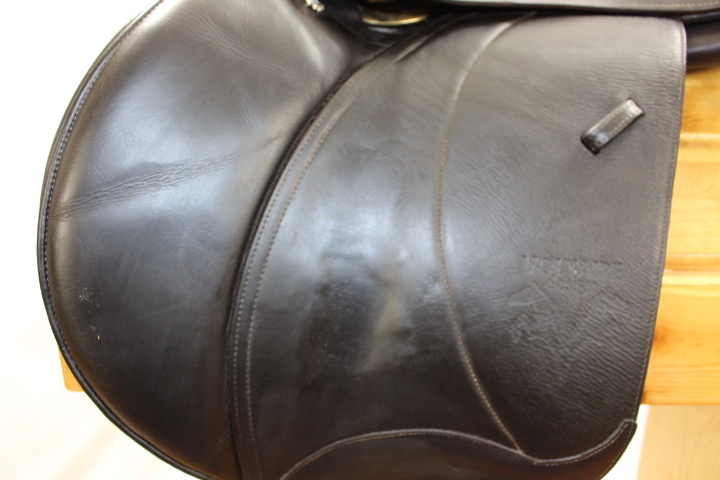 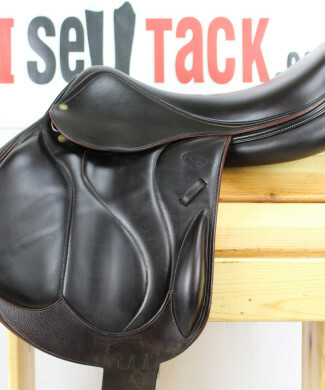 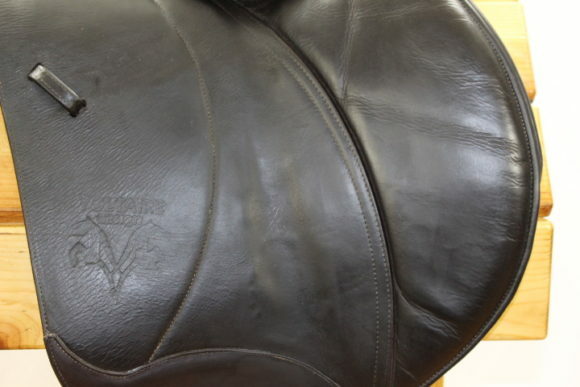 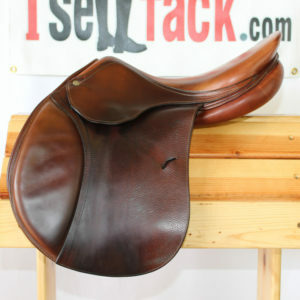 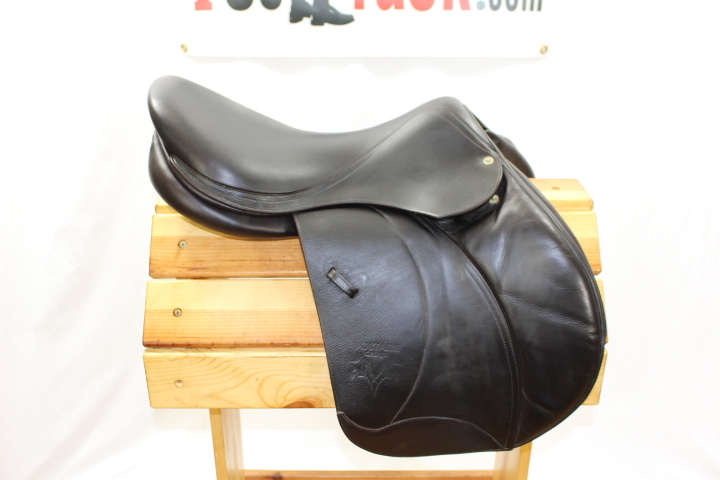 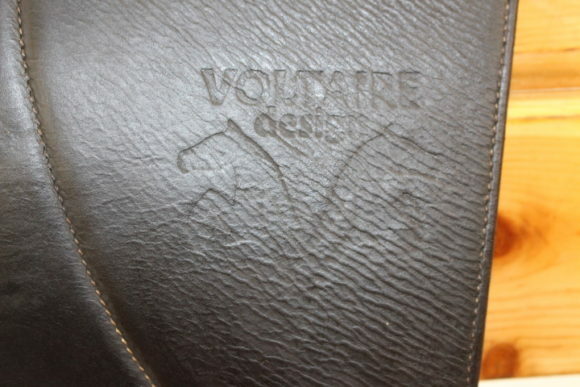 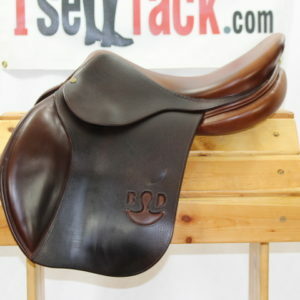 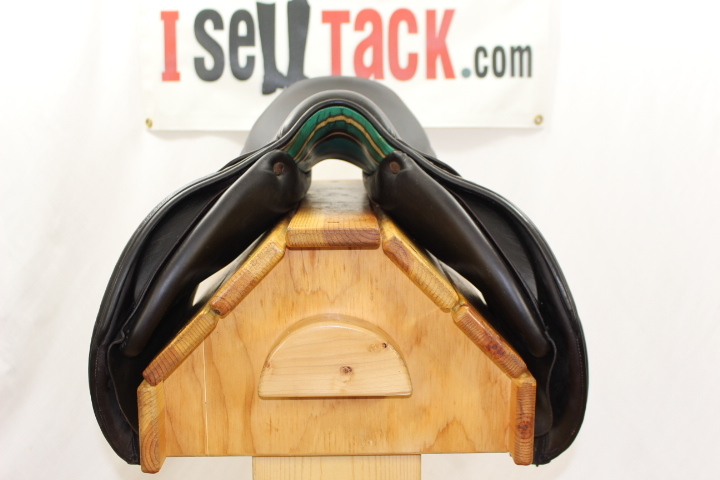 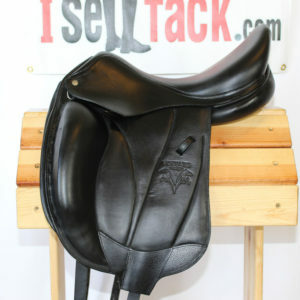 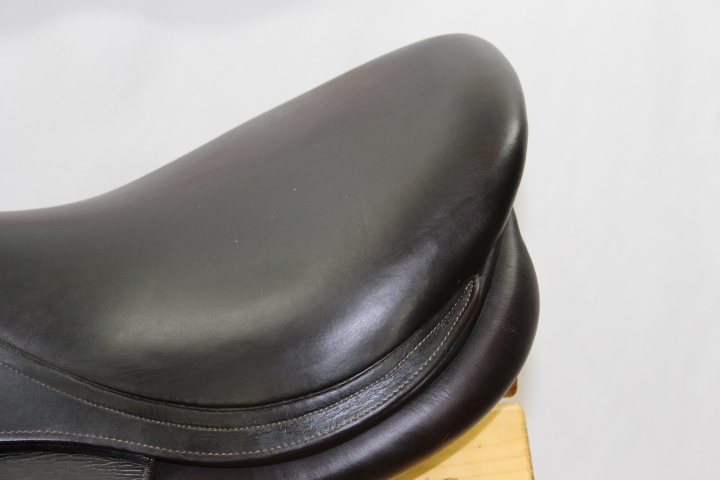 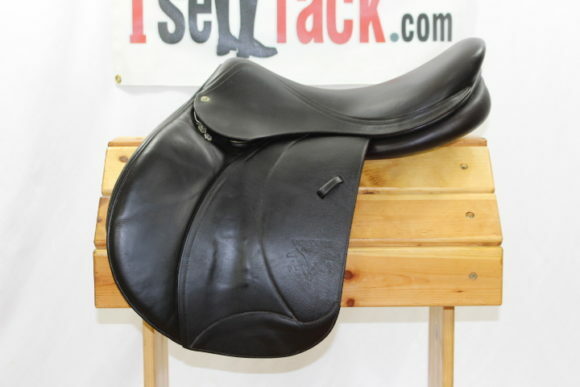 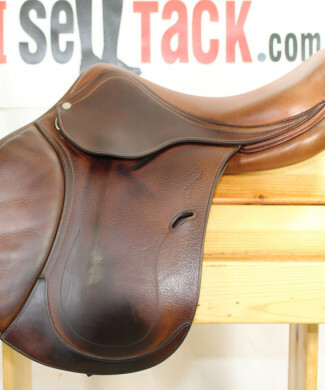 Saddle sells with Voltaire saddle cover.